geek4me: I hope that the TAB's departure from Freeview means we get a great channel to replace it. Perhaps the TAB are prepared to offer odds on this happening? I think Trackside was way more interesting than the shopping channels that are there..
anyway. 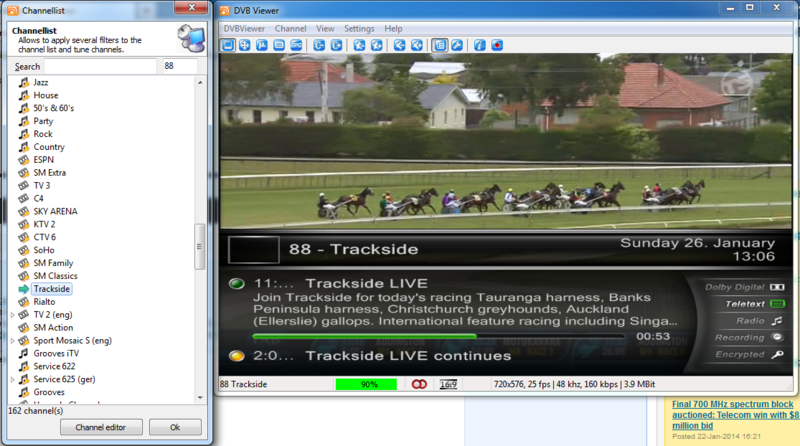 isn't trackside always FTA on a sky transponder? Yes Trackside is, but Trackside won't exist in a few months. haydenmarsh: anyway. isn't trackside always FTA on a sky transponder? Yeah trackside is being split into 2 channels and the expectation is that neither will be free to air once that occurs. Presumably this is leaving terrestrial / freeview HD altogether. Options after that are to view online via streaming, hope one of the satellite feeds is not encrypted, or pay SKY TV to get access to this content. All we can hope is that someone creates some sort of "hack" for the live stream.